Where does a family of five go for a three-day mini-break in the Alps to catch the early season snow and benefit from some mountain luxury? A brief session on Google and fond memories from childhood holidays suggested that Flaine was a good place to consider. Growing up we both remembered happy holidays in the Totem and Gradin Gris Hotels (the latter of which has now become part of the Totem). 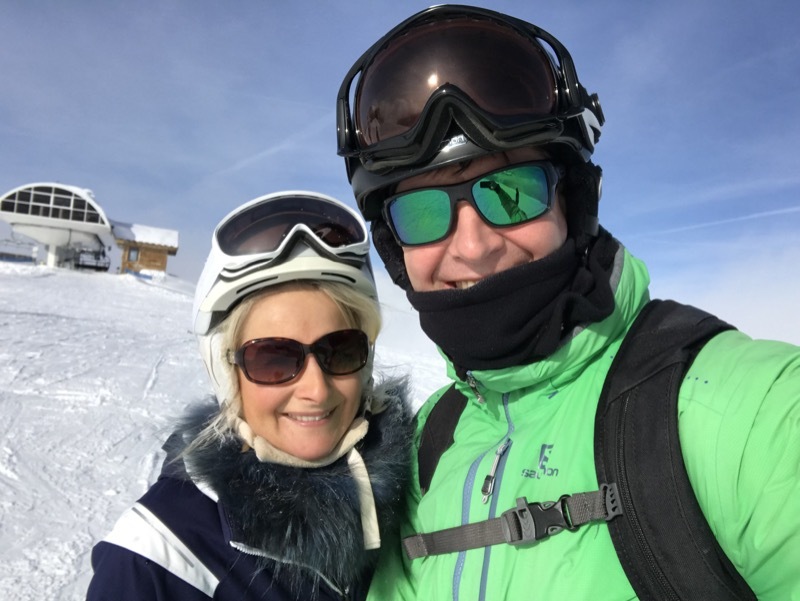 The area’s proximity to Geneva and the fact that the Grand Massif offers a large amount of varied skiing to suit all levels of experience meant that it ticked all of our boxes when finalising our short break to the Alps. At the end of the day we were looking for something that provided us with a luxurious but low-key and friendly environment for both adults and children, whilst also considering that a trip to the Alps with 3 youngsters could be a challenge for such a short period of time; so everything needed to be easy and well thought out. Wind forward a couple of months and it is fair to say that the resort and our accommodation more than stepped up to the plate and we have come back feeling fully rejuvenated and the children have had a wonderful time. The Terminal Neige Totem is situated in pole position on the edge of the forum in Flaine with direct access to all of the local amenities and to the pistes themselves. Our trip running Thursday night through to Sunday afternoon was made exceptionally easy via the use of Erica Transfers www.ericatransferts.com. Erica herself is a charming Argentinian lady who was exceptionally amenable and immediately put us into the holiday mode on collection from Geneva airport. One of the reasons for picking Flaine was its proximity to Geneva (only a 60-minute transfer away). We arrived in the resort at 11 pm with 3 tired but hungry children and the hotel immediately scored full points, having prepared a fantastic meal for us all with the expectation that we would not have eaten properly on our travel over. We were shown up to our amazing suite which has been beautifully done up but reflects the original Bauhaus design of this intimate but minimalist hotel. The abundance of cowhide, vintage decorations and modern art both in our stunning suite and around the hotel juxtaposes well with the bare concrete and makes for a cosy but modern ambience in the rooms and the hotel. Crisp fine linen coupled with plenty of sumptuous towels and robes provided a real sense of luxury at the end of a hard day on the piste along with natural mountain toiletries. We made use of the hotel’s half-board proposition, which provided us (and more importantly our children) with a fantastically filling breakfast with a huge array on offer, including both healthy options (wonderful fruit, nuts, cereals and porridge) and delicious cooked choices as well as the more traditional French pastries. The dining room opens onto a large terrace facing the ski slopes so it was great to see the first skiers hit the slopes whilst we were finishing a delicious cappuccino and breakfast. The bar and restaurant follow a similar format to the rest of the hotel in so far as there is a modern, urban vibe infused with the traditional Alpine warmth and there is a fantastic open fire that acts as a focal point the bar. The bar itself has a real buzz to it and offers a great array of cocktails and all the usual suspects. In the evening guests had the option of two sittings either at 7 or 8.30pm and again there was a wide array of food on offer to satisfy the demands of a full day on the piste - from delicious sushi salmon to more traditional French options and child-friendly pizza and pasta. This was complemented by a well thought out wine list. We ended up at the later sitting as couldn’t escape the pull of the bar plus the constant requests to take the children to the ice-skating rink which is conveniently located directly opposite the entrance to the hotel. The hotel benefits from the stunning Pure Altitude Spa and its skier programme is an absolute must. I was able to benefit from the restful Ritual Pure Altitude Massage which was 50 minutes of sheer bliss and one of the best massages I have ever had and is personalized depending on your needs. All the products used are from the Pure Altitude range which is made in the mountains locally using plants and natural mountain minerals. In addition, there is a sauna and stunning outdoor hot tub which has a panoramic view out across the natural bowl in which Flaine sits. My husband seemed to want to return to it at any opportunity to help soothe away the aches and pains that one invariably gets when pushing hard on the mountain and picking up children! For those that do not feel they have done enough exercise throughout the day, there is also a well-equipped gym that guests can make use of at their leisure. The hotel has a well-equipped ski shop which allows guests to hire ski kit directly from the hotel to ensure you can be straight out on the mountain which is especially important if you are just there for a short weekend as we were. I would recommend booking at least 3 days before to get the 25% discount. In addition, there is also a facility in the reception area where you can buy your ski pass. This was very helpful as we were able to get ski passes in two minutes flat from the comfort of the hotel whilst the children enjoyed playing on the retro packman computer games that are cleverly placed for free of charge use in the bar area. These gave us lots of child-free moments so at the end of the weekend we felt we had had a proper break! For a busy family with three active children, Flaine and the Terminal Neige Totem offered us the perfect solution to getting on the piste for a relatively short period of time. The combination of ease of access along with a hotel that offered a fantastic balance between all of the best Alpine traditions in a modern and funky setting left us feeling like we had been away for far longer than the long weekend we had. My husband and I can’t wait to come back for a weekend part deux as the hotel clearly caters for this market amazingly too … as we enviously noted!